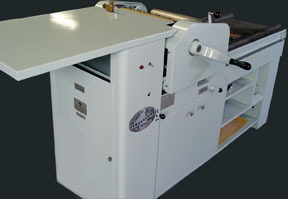 We also offer cutting time on our 26" Challenge guillotine paper cutter to our press renters only. 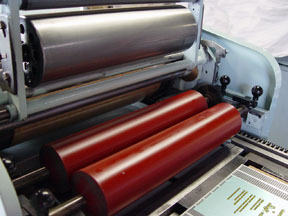 Press time: $30/hour with a minimum of 2 hours/day + $10 daily shop fee (which covers the use of inks, aprons, rags, and cleaning solvents) per person﻿. 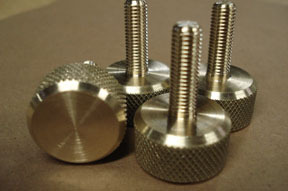 Cutting time: $30/hour with a minimum of 1 hour/day (press rental clients only). * Depending on your experience level, renters may be required to take one of our group workshops prior to scheduling studio time. 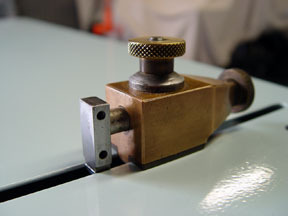 Our group workshop covers basic press operation, maintenance and studio etiquette. 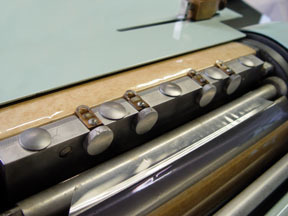 If you're interested in an in-depth exploration and instruction of the press and printing, please inquire about our private instruction. If you are an experienced printer and just need a quick refresher to get started, the first hour is $60 then each hour thereafter is $30. Renters are welcome to use our deep relief bunting base for metal back plates or our standard height aluminum base for sticky back plates. Food and drinks are welcome in the studio. We also have a few eateries within walking distance as well as a Trader Joe's and Gelsons. We are a small, busy studio so while we love meeting new people, we are a private, by-appointment-only shop. Therefore, please no visitors during your press rental time.